Hi, my name is Alvin Alexander. 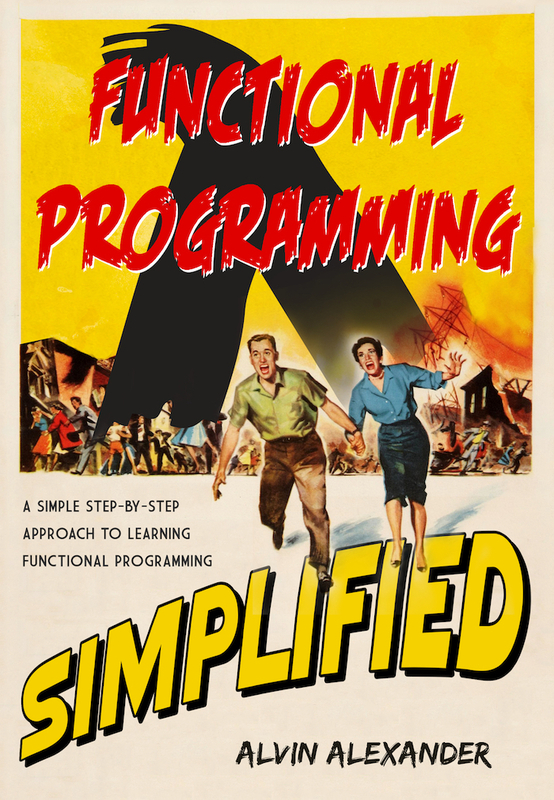 I wrote the Scala Cookbook for O’Reilly, and this book — Functional Programming, Simplified — is my new book about functional programming (FP). When I first started trying to learn about FP in Scala, I struggled — a lot. Because Scala/FP developers use many advanced language features all at the same time, it took me a long time to break through that learning barrier. The only way I was finally able to understand FP was to break their code down into smaller chunks until I could understand each concept. When I finally broke through what turned out to be many barriers, I decided to turn my notes into a book that could help other people understand functional programming. I don’t know about you, but the first time I saw that code, the word “easy” is not what came to mind. Among other things going on in that code, I had never written a type like StateT[IO, GameState, Int] and thought it was easy. In this book I explain all of the concepts that are used to write FP code in Scala. As I learned in my own experience, once you understand all of the small programming concepts, you can understand Scala/FP.